This post is Part 12 of the 20 Post Mini Series on How to earn more money. I receive dozens of emails from the great readers of the Millionaires Giving Money Blog. Two questions they keep asking are (1) I Need More Money What Can I Do, &, (2) What Is a Quick Way to Make Money. After responding to as many emails as I could I was inspired to write a 20 post series giving 20 ideas to earn more money. All these ideas are legal and legitimate and you can build these ideas into long term profitable business systems. Depending on how much time you spend you can easily make anything between $100 and $10,000 per month. So without further ado, here is IDEA 12 of 23 for quick money making systems. The iPhone will be around for decades if not centuries. Every iPhone user likes to download applications. These applications could be games, schedules or something useful that iPhone users can use everyday. 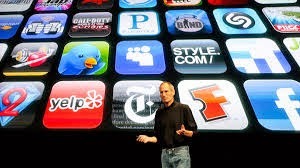 Some iPhone apps receive millions of downloads every month and the user is prepared to pay a few dollars for the app. To get started all you have to do is think of a great idea and then contact an iPhone apps develop to turn your idea a reality. There are thousands of developers around the world all experts at developing apps for iPhone. You can find developers in developing countries using outsourcing sites such as Elance and Odesk. These developers don't charge a lot of money but are prepared to create quality apps to improve their reliability status on these outsourcing sites. If you cant think of an idea all you have to do is find a great app and then improve it profoundly in some way and then add your own identity or spin on it. Once you've created your application you need to give it out for free to some of the best apps reviewers in exchange for positive reviews. You also need to promote the apps in every way possible. This includes writing quality content about the apps, posting YouTube videos on the Apps. Once you've generated interest you should notice the apps being downloaded for a few dollars at a time. If your app is really useful or entertaining you could easily make a million if your app is downloaded a million times. Creating apps is a great way to earn money. I know some of my online buddies earn six figure incomes just from developing apps and they don't know the first thing about how program. This is definitely a quick money making system that has long term potential if you can turn it into a business system and then scale it. IDEA 12 is something I would definitely consider if I need more money in the future.